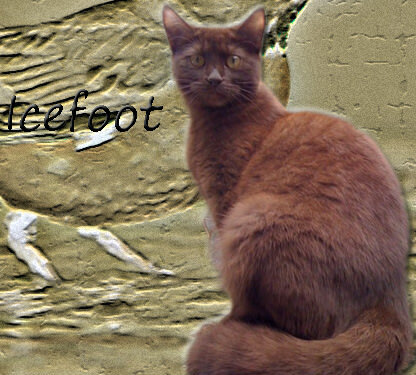 Icefoot touched his nose down, opening his eyes to see starlit cats padding towards him. "With this life, I give you the gift of courage, to defend your clan in battle." meowed Ravenclaw as he touched his nose to Icefoot. "With this life, I give you the gift of justice, to judge your clanmates fairly." meowed Skyfrost. "With this life, I give you the gift of loyalty to what you know to be right." meowed Applefur as she touched her nose to Icefoot. "With this life, I give you the gift of tireless energy, so you can serve your clan to the utmost." meowed Twofoot as he touched noses with the former deputy. "With this life, I give you the same desire to protect her clan the way a queen protects her kits." Oceanfur meowed. "With this life, I give you the gift of mentoring." meowed Whiteclaw as he touched his nose to the former deputy. "With this life, I give you the gift of compassion, to be mindful of cats weaker than yourself." meowed Froststar. "With this life, I give you the gift of love. Love to your clan, and to your family." meowed Dangernose. "With this life, I give you the gifts of nobility, certainty, and faith, so that you are able to lead your clan in the way of the warrior code for all of your nine lives." meowed Dandelionkit. She drew back from giving the last life to the newly named Icestar and began to cheer with the other starry cats for the newest leader of FrostClan. "Icestar, Icestar, Icestar!" 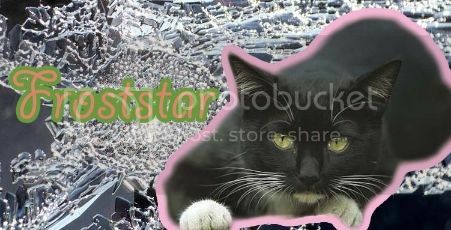 Icestar dipped his head to the starry cats, then turned and raced back towards FrostClan territory with Ebonypelt.